Fibregenix Prime Original is the best choice for leisure horses and ponies, showing, dressage up to and including Novice/medium level and broodmares, foals and youngstock. This one is of Bucky who is on Prime Original – Sara had felt that in the past few months his coat had gone off and he wasn’t looking as great on Blue Chip anymore…. 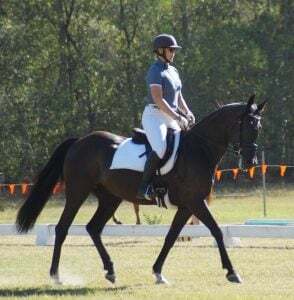 Rocky has been on Fibregenix going on two weeks, and we finally returned to the arena on the weekend after a very long break. Rocky is “special” at the best of times, but he kept his head together reasonably well, and is looking great ! Just wanted to touch base and let you know that I’ve moved both my Clydie crosses over onto the Prime Original – for a good few months now, and we love it! So easy to feed and they are both looking and feeling amazing. PROBLEM SOLVER: If you have a horse or pony that’s could do with more condition, has poor quality hooves and/or has a coat that has lost its sparkle, perhaps his digestive system isn’t quite as healthy as it should be which is affecting his temperament, then Fibregenix Prime Original is the product you need. Fibregenix Prime Original is a very flexible, nutrient-rich feed designed to balance the rations of most horses and ponies simply by adjusting the rate at which it is fed and the products it is fed with, and when you add Prime Original to the diet there is no need to add any further supplements. We all want our horse and ponies to look and feel fabulous and even more so when we take them out and about. 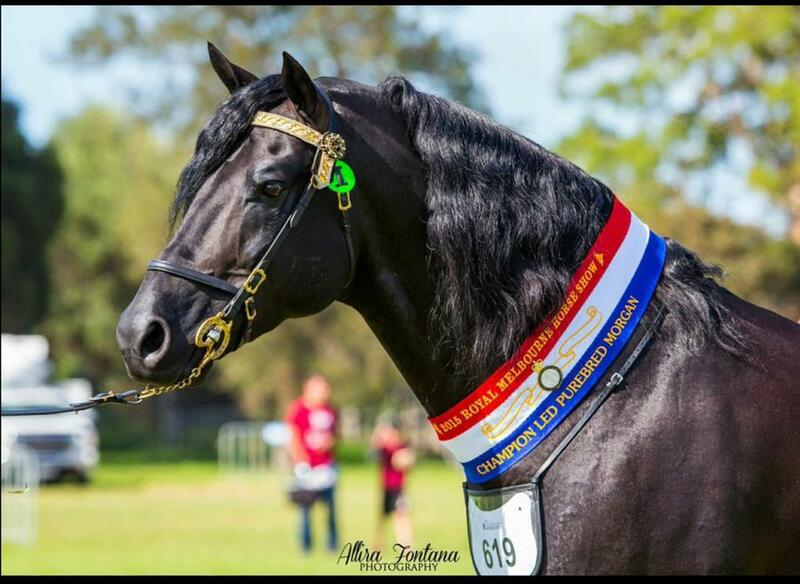 Our Prime Original bag cover pin-up boy is Watching Royalty aka Roy, a multi-champion Purebred Morgan stallion owned by Beccara Lloyd of Makara Park Morgans in Victoria. 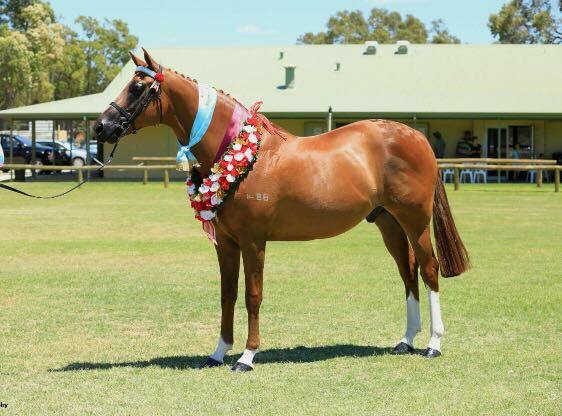 Roy has Fibregenix Prime Original added to his predominantly fibre based diet which keeps him in tip top condition and looking and feeling awesome as any multi-champion should! A digestive enhancer and gut health package which comprise of an approved Actisaf probiotic, purified nucleotides and MOS prebiotic. This triple-action digestive supplements package allows horses to utilise far more nutrients from the forage and any concentrates in their diet, which usually means that their hard feed intake can be reduced with many resulting benefits. Feed supplemental hay when pasture becomes scarce eg in winter or summer or any other periods of drought. Example of typical fibre feed regime for approx 500 kg horse in light/moderate work (eg showing/riding club activities/ low level dressage) fed at 2% of body weight in total dry matter. 1 kg chaff or mixture of chaff/beet pulp or any other fibre feed product. NB: Hay, chaff, beet pulp etc amounts can be adjusted up or down depending on your horse or pony’s current condition, metabolism, pasture access etc. Generally, we would not expect a horse/pony in light work to require a grain based hard feed.